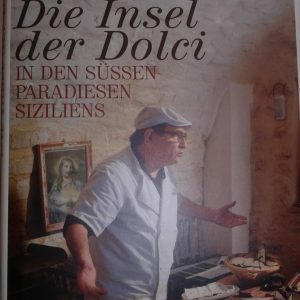 Dier Insel der Dolci, published in 2013 by the writer Hanns-Jusef Ortheil describes in great detail the famous chocolate of Modica in the different essences and peculiarities. The traditional tastes of vanilla and cinnamon and the new essences with citrus fruit from Sicily, rum, bergamot. There are shortage of photos and details of the work of the master chocolatier, Ignazio Iacono, member of the consortium for the protection of chocolate. Modica – Il Caffé dell’Arte suggested on “Gambero Rosso”, which presents the 1650 classic and innovative Italian restaurants in the 2011 edition. The Caffé dell’Arte of Corso Umberto is indicated as a concentrate of taste and refinement, “managed with passion and commitment by the Iacono family. Today, alongside Ignazio, there are the sons Daniele and Aurelio who welcome customers with courtesy and enthusiasm “. The counter is not huge but that is enough to understand that here the pastry is not a decorative element. Arte’s coffee has confirmed the quality standard having obtained two cups and two grains, such as local and excellent coffee. “All the desserts – says Gambero Rosso – in the traditional repertoire are tastefully prepared and executed to perfection, starting with the ‘mpanatiglie, the cannoli, the cassatine and the delights based on almond parsta until the ice cream (proposed also in the mignon version) and the granita: fragrant mixtures, well-balanced sweetness and balanced flavors. And then the chocolate of modica, of course, produced here following the ancient traditions. You will find it in many versions. Do not miss the news of this year, the one with pistachios and the citrus fruit of Sicily “. Modica – It has been unto the breach for forty years. The bar is a hotspot, situated in the historic centre, decorated in Liberty Stile. There are many delicacies proposed by Mrs. Giorgia Macauda, today assisted by her son Daniele, and a lot of desserts of Modica traditions, for example brioche, fagottini, treccine, cornetti, sfogliatine with ricotta, that in the morning can be tasted with excellent coffees and cappuccinos. During winter, it is possible to taste hot cocoa mix in cup prepared in accordance with Modica tradition [chili pepper, vanilla and cinnamon flavours]. There is also a wide range of ice creams and granite [blackberry should be tasted]. Sesame, almond and honey nougat, cedrata, figs and candied dates, are excellent. Impeccable service and kindness. Modica – Il Caffé dell’Arte, a piece of Modica history. Mrs. Giorgia will welcome you with politeness and kindness and you can taste an excellent coffee, tea or a flavourful chocolate. Customers can listen to interesting evening concerts, tasting homemade ice creams and granite of different flavours, such as blackberry, which should be tasted. For breakfast, customers can choose between fragrant cornetti, hot brioches, treccine with honey, sfoglie with ricotta and chocolate chips; and also you shall taste the now-famous chocolate of Modica, of different flavours, such as vanilla, cinnamon, coffee, carob and chili pepper (with surprising aftertaste). Rapid, impeccable, kind counter and table service. Modica – Well placed, it is a high-quality bar: excellent café service with good desserts, delicious homemade ice creams and a wide range of pastries. The refined outside down of the side street is noteworthy. Kind service.